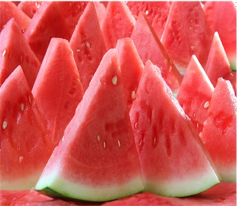 Henry David Thoreau was known to have grown the sweetest, juiciest watermelons in C oncord. Every year, he shared his harvest with friends and family. As we continue this tradition, enjoy a slice of melon with historian Richard Smith who will portray Thoreau at the Thoreau house replica, located nest to the parking lot. this is a program for visitors of all ages. This entry was posted on July 29, 2014 at 4:29 pm and is filed under News. You can follow any responses to this entry through the RSS 2.0 feed. Both comments and pings are currently closed.